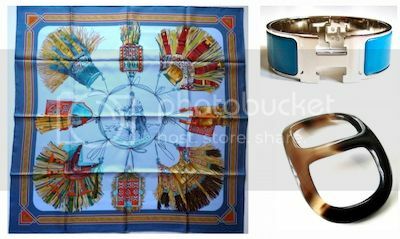 Wearing 'Cuirs de desert' 90 Carré in with a shawl ring in the basic slide, and a Clic Clac bracelet in Bleu Indiens. The most important accessory however were my lambskin slippers! You're freezing in EU while we are frying here in South America. I love your cozy outfit, enjoy the snow! Such strange weather this winter - we're having 6C in Canada, green grass and sunshine and you're receiving our snow! 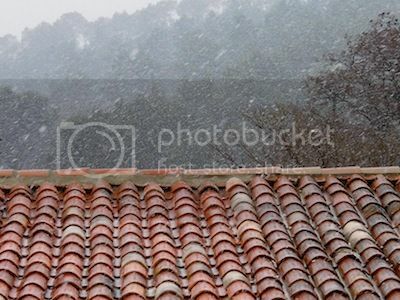 Gorgeous shots - of both you and the snow! Where do I send Style Challenge ideas? I'm cocooned in a very similar ensemble , a big sweater with a loose cowl neck. 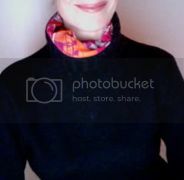 Great idea to put the silk beneath , although I'm addicted to wearing my older cashmere shawl at home ! Those slippers look so cosy and lovely . My sheepskin mules are my best friend indoors, too. Glad you are warm and cosy. Seems I am off work for a few days as we are having 10cm of snow. Miraculously, DD's school is open today though, it usually closes whenever there are more than three snowflakes gathered. Scarves and oversized jumpers, now that's a fabulous combination which I must try (once I can bear to be parted from my c/s shawls). I am very fond of the Cuirs du Desert pattern but have not yet found a c/w that is just right. Dear MaiTai,I'm with you ....lambskin slippers are your best and I expect favourite accessory right now !!! Personally I have (dare I admit ) even taken to wearing Uggs around the house ! You look as always great, and warm.Roll on Spring! Amou. Ici aussi le mistral souffle fort ! What a comfy, yet chic (as always ;-) look! It's just freezing cold here - wish we had some snow as well. Hope, you have a nice week, xox, Macs! Snow is always beautiful and calming to look at, but the accompanying temperatures, I can do without! Best to stay inside, all warm and cozy. Take care. That first picture is so beautiful! And you look so cute in your cozy outfit!! I, also, enjoy sheepskin mules! They are the best! If your cold weather keeps up, do you think the lambskin slippers will become part of your *capsule* pieces? Sending you warm thoughts from surprisingly warm N. Idaho. I spent the weekend inside, warn and cozy too. But I wish I had looked half as lovely/chic as you dear MT. I love you lambskin slippers! Such a cozy look! Stay warm Mai Tai. Believe it or not, I'm a little jealous. We have had an warmer than usual "winter" in Florida this year - so much so it feels as if there was no winter at all. Bleh. At times I want to combine the scarves with other muticoloured pieces of the outfit, and then it is really difficult - as too many colours may get into a mess. 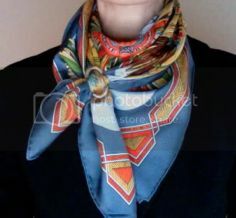 Do you have some ideas about making multicolour (say more Etro style) outfits with the H multocoloured scarves?